Having known 'bout Paramount taking Tom Sawyer and Huck Finn and slapping it up with a coat of supernatural whitewash, for 21st-century folk, ABC figured there hain't no more harm what could be done to the stories nowadays, and set itself to turning them books into a proper modern TV show. So the network fell to showing off, bustling around putting that piece of public domain writin' into Finn & Sawyer, a show about the two boys becoming men and powerful good detectives besides—a fine occupation for any man, especially if he wants to be a character on a TV show. Mayhap you recall Detroit 1-8-7, which was another detective show from the people what done the writing on this one, and warn't very interesting. 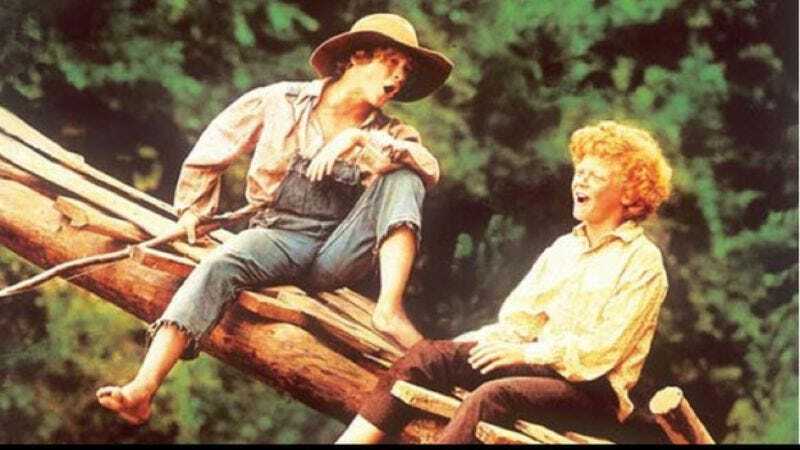 But that didn't work out so good, so they had to reinvent Tom Sawyer and ol' Huck Finn, which is easier than regular inventing and less tiresome too. This particular Tom Sawyer and Huck Finn will do their detecting in a New Orleans that is a "steampunk" New Orleans—which is like a steamboat but with more futuristic contraptions, for 21st-century people. ABC figures all a body would have to do is add some words like "detective" and "steampunk" and folks would fall to saying it was new and exciting, and better besides than just leaving the old stories be. Of course, Mr. Mark Twain might have said otherwise, but he remains dead and in the ground where his opinions can't be heard, so that ain't no matter.